We manufacture Converter Duty Transformer as per the latest technical advancements in the industry. These are used for monitoring the operation of electrical power industry through measuring the large current and protective relaying. We offer these heavy duty transformers at competitive prices. We are counted as consistent firm actively involved in developing modern day Double Wound Transformers. The offered range of transformers is specially engineered for compact power supplies and slimline equipment. These transformers are developed with the assurance of high-quality manufacturing and testing and can be ordered from us at a nominal price. We offer our clients a broad range of Converter Duty Transformers, which is used as a set up transformer from generator to line voltage. As per the emerging needs and requirements of the clients, we are offering these duty transformers in range up to 10 MVA along with the voltage capacity of up to 33 KV. Moreover, these duty transformers undergo strict quality measures to assure that these are defect free. 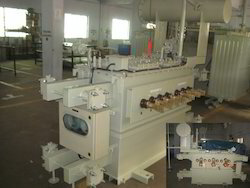 We bring forth heavy-duty Phase Shifting Transformer for our esteemed clients. Designed to excellence, these offered products comply with the illustrated parameters of the industry. These products are a quad booster specialized transformer that controls the flow of real power on three-phase electricity transmission networks. Our valued clients can avail these products in different specifications as per their requirements. 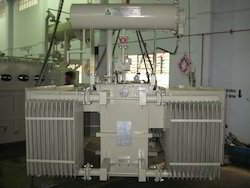 Our company has mastered the art for providing Multiple Winding Transformer to the clients. 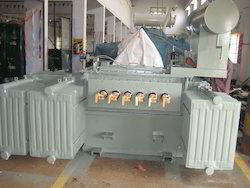 It is Three Phase Multi winding transformer. Multiple Winding Transformer is precisely engineered at our well-equipped manufacturing unit by using sophisticated techniques. The offered range is available in diverse specifications. This product is widely demanded by many industries.